Alex Obanda's breathtaking 56-ball century led Swamibapa to a crushing 111-run victory over hosts Obuya Academy in an overs reduced NPCA Super League match at Sir Ali Sports Club on Sunday. The day saw all the other four matches including top of the bill match between leaders Kanbis and defending champions Stray Lions being called off due to wet pitches. The only match of the day between third placed Swamibapa and league debutants Obuya Academy was reduced to 20 overs after the pitch was deemed unplayable for over four hours due to heavy rain that had hit Nairobi on Saturday night. 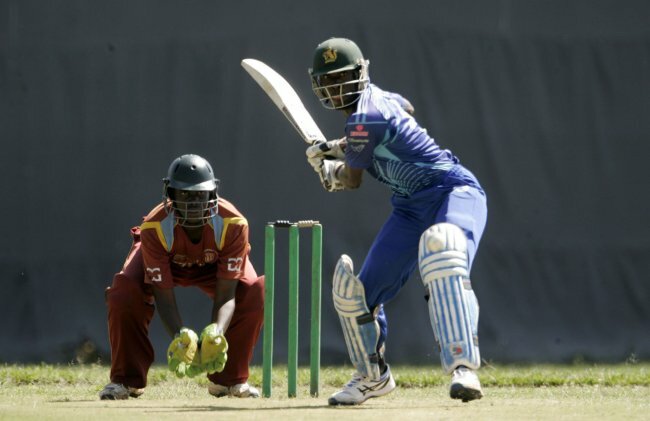 Obanda-the national team opener, smashed nine sixes and five boundaries in his 119 led his side to 196 for 2 before he was dismissed in a not so common manner. Obanda was dismissed with the board on 184 after being adjudged by the umpire for hitting the ball twice. Krishna Babu made 37 from 30 deliveries and Irfan Karim added on 20 from 32 as the visitors had an easy feast on their hosts by scoring freely. In reply Obuya Academy came out swinging but were restricted to 85 for 6, with Jadavji Bhimji taking three wickets. Obanda’s spellbinding innings included some of the cleanest hitting ever witnessed lately in the NPCA super league, with several balls sailing out of the club. The 29-year-old's hundred was the second fastest in the 2017 season after last weekend’s 40 ball 106 as Kanbis beat Sir Ali. The former Kenya Kongonis player had been in poor form with the bat heading into the match, scoring just 300 runs in nine innings. His highest score prior to Sunday’s ton was 81.